Subtitles by explosiveskull on Subscene, all credits goes to him. Subtitles were kept as is, we only synced it to our releases. 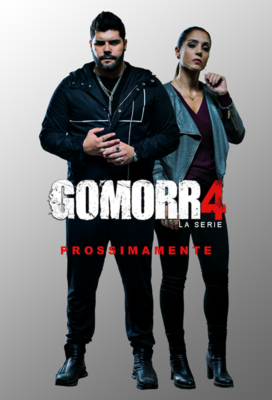 After avoiding a war with the Capaccio brothers, Gennaro leaves everything in the hands of trusted Patrizia but things get complicated quickly. Episode 3 & 4 has been replaced with cleaner 1080p versions, No Italian Subtitles anymore, only English. Episode 3 & 4 are now posted with English Subtitles, unfortunately the videos have Italian subtitles too and they are in 720p quality. Once we find better versions we will replace those later. PLEASE DO. It’s to hard to watch with both english and italian on the screen at the same time. I appreciate your hard work. episode 3 doesn’t have english subtitles? how long is the delay between it playing on TV and posted on the website? Many thanks. Uptostream server works great. Servers “OK” and “UPTOSTREAM” doesn’t have any popups but it’s not expected for the links to last long, next I would try “CAJITA TOP”, this server only have 1 popup per play, for anyone who’s on mobile data and wants low quality use “VEVIO” (careful with popups), OPENLOAD and STREAMANGO are very stable servers and work for most devices and with most people. Hope this explains the server list.